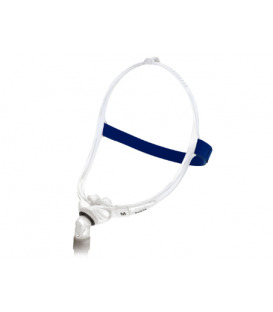 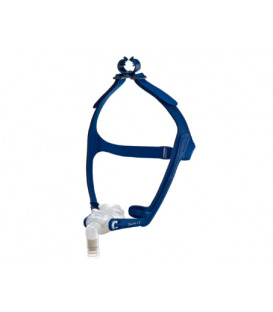 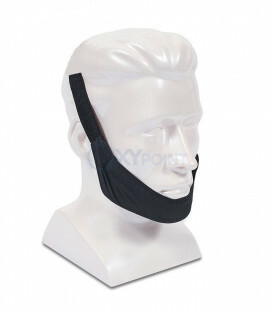 Nasal mask CPAP Resmed AirFit P10 - standard size - complete with fastening system (holder mask). 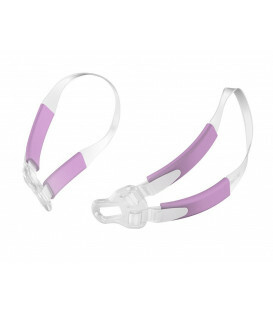 This mask is designed specifically for those who want to have as little contact as possible on the skin. 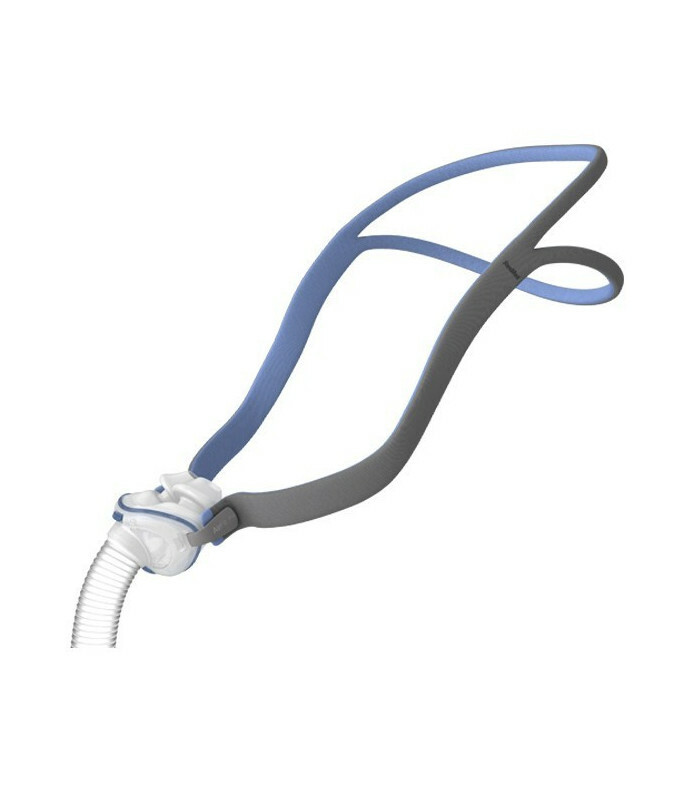 This contact can shorten the sun olivette nasal, that fit into the nostrils for a few millimeters, and all'headgear, already reduced as much as possible in size. 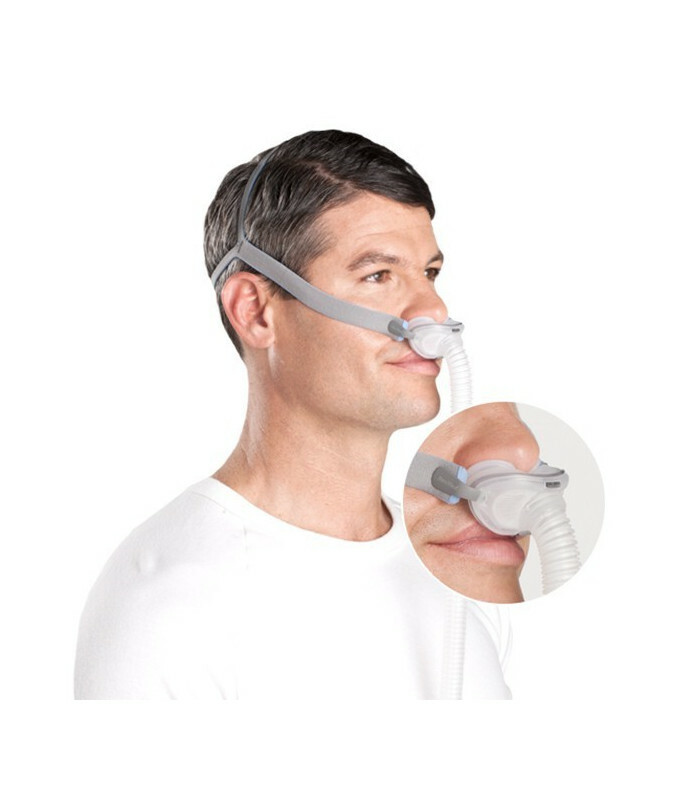 Compatible with all systems CPAP, Auto CPAP and BiLevel. 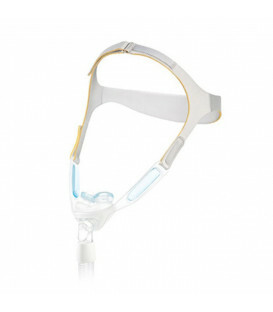 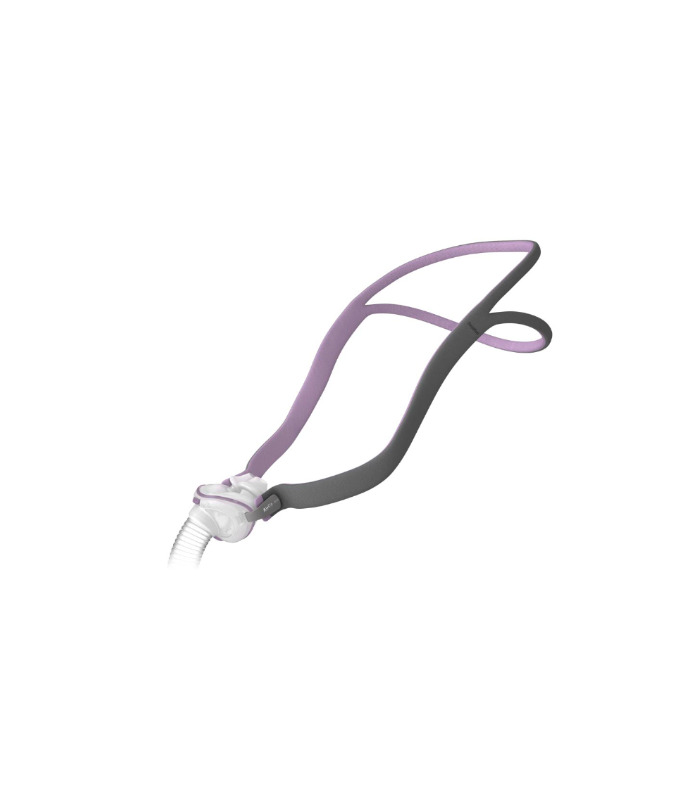 The mask AirFit delivers to the patient in a non-invasive flow of air coming from a positive pressure to the airways (PAP), such as a CPAP (continuous positive pressure to the airways) or bilevel. 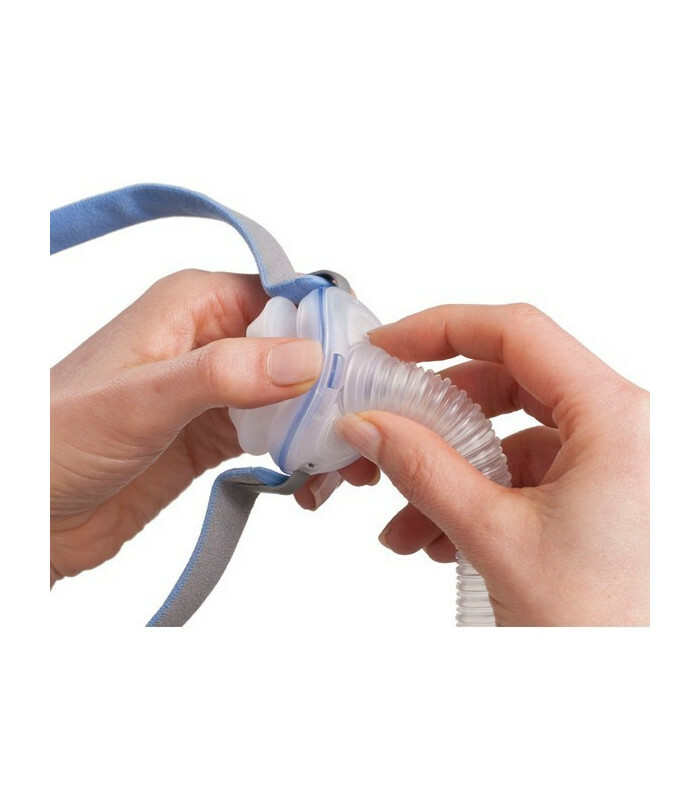 type of use in the home and multipatient hospital setting. 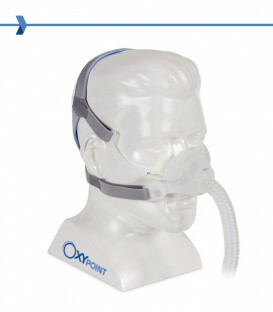 The magnetic elements used in this mask within the parameters ICNIRP for general use. 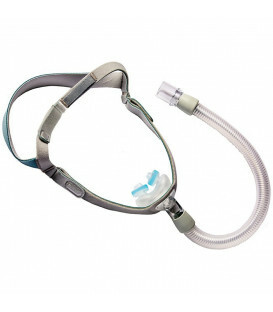 Some active medical implants - such as pacemakers or defibrillators - can be disturbed by localized magnetic fields. The magnetic deduction in this mask should be kept at least 5 cm from any active medical implants. 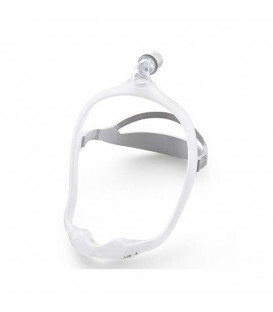 presence of metal fragments in the eye following an ocular lesion penetrative.